Ramon Zertuche, Senior Director of Government Affairs for Latin America and the Caribbean at Gilead Sciences, introduces Ambassador Santos to breakfast participants. On January 23, 2019, Gilead Sciences partnered with the Meridian Corporate Council to host a breakfast welcoming the Ambassador Francisco Santos of Colombia. Meridian’s President and CEO, Ambassador Stuart Holiday, pointed to Ambassador Santos’ appointment as a step in the right direction for U.S. – Colombian relations. 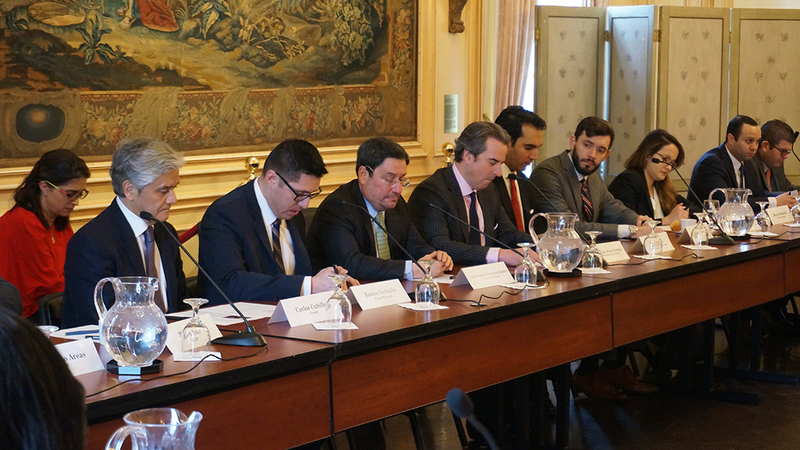 The discussion centered on strengthening economic ties between the U.S. and Colombia, as well as foreign policy. Ambassador Santos emphasized the need for strong diplomatic ties between the two nations, pointing to the tremendous opportunities Colombia has to offer American investors. In light of the crisis in Venezuela, he said the Colombia government is making important strides to facilitate trade relations between Colombia and the United States. Ambassador Santos maintained that the Colombian government remains dedicated to building and creating opportunities for investment in a climate free of issues such as corruption, which had previously plagued investment efforts in Colombia. In order to generate and sustain investor confidence, Ambassador Santos assured that the current administration is determined to unite the executive and legislative branches of government to strengthen Colombia’s economic future. In his closing remarks, Ambassador Santos addressed the future of trade between Colombia and the United States, most notably the Colombia Free Trade Agreement. The Agreement helped to eliminate tariffs and other barriers to trade in goods and services between the U.S. and Colombia. Ambassador Santos asserted that, now more than ever before, American companies should invest in Colombia as profit margins are high and growth is all but guaranteed. 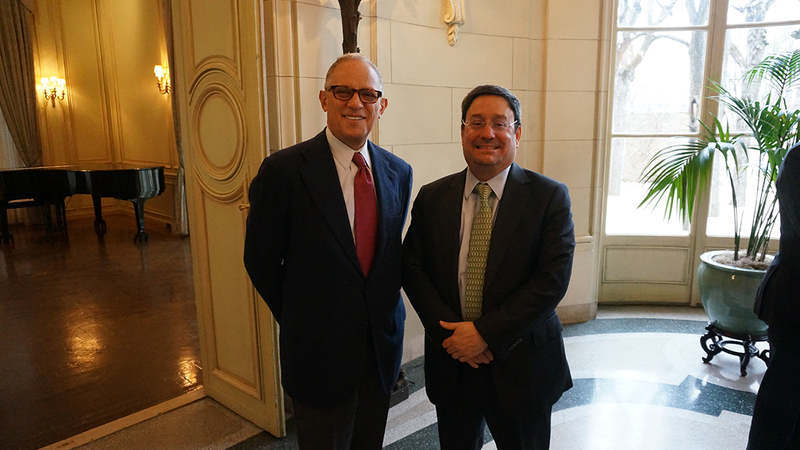 The Honorable Fred Hochberg, current Meridian trustee, and Ambassador Francisco Santos. 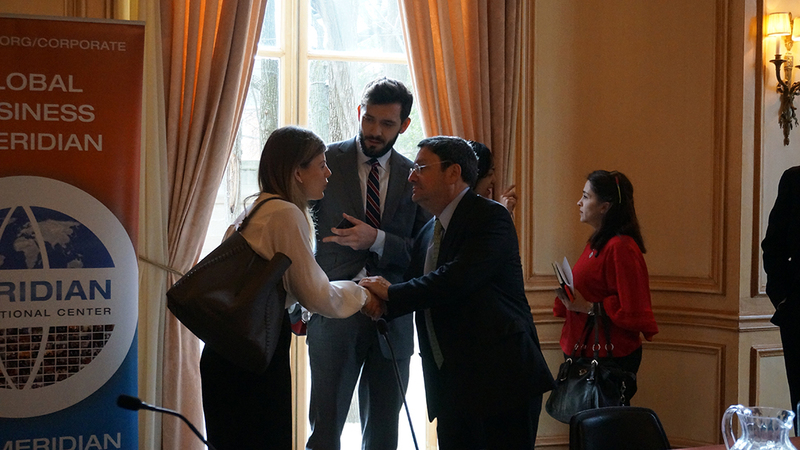 Kristjan Archer and Emily Massel of Gallup share thoughts with Ambassador Santos at the conclusion of the program. 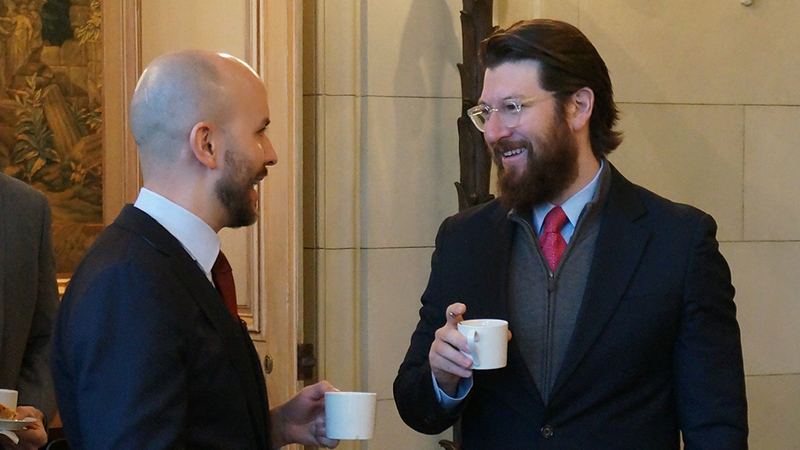 Breakfast participants network before the program featuring Ambassador Francisco Santos of Colombia.